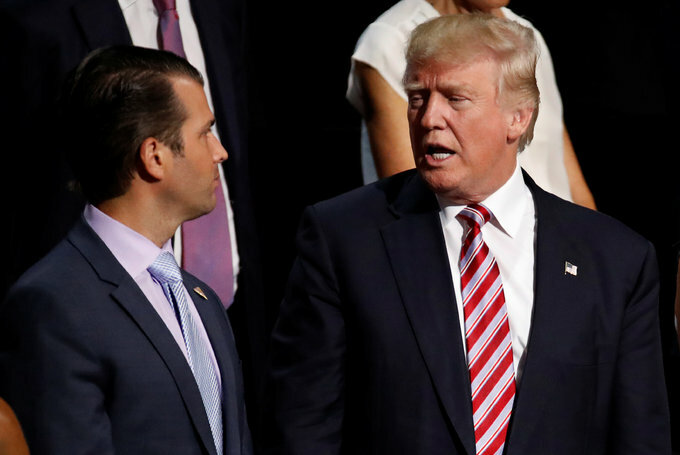 President Donald Trump on Thursday defended his son Donald Jr, who is under fire for accepting a meeting with a Moscow lawyer during the U.S. election campaign last year -- talks that have reignited allegations about Russia's role in the vote. The U.S. president was in Paris at the invitation of French President Emmanuel Macron, with both men talking of a newfound friendship. Macron rolled out the red carpet, hoping to improve relations and persuade the U.S. president to change his mind about withdrawing from the global Paris agreement on climate change. The U.S. president praised Macron as a "great president", saying "he is going to run this country right." As part of Macron's charm offensive, Trump will be guest of honour during celebrations for France's national day on Friday, which will also celebrate the 100th anniversary of U.S. involvement in World War I.
Trump and Macron will watch Friday's Bastille Day military parade together and marking the U.S. entry to World War I in 1917.